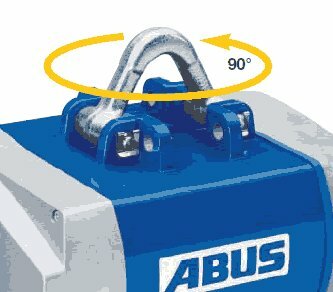 In stationary installations, with push trolleys or electric trolleys, ABUS electric chain hoists have a number of extremely useful, user oriented advantages. These include a very low headroom design for optimum utilisation of available space, a standard precision lifting speed for sensitive lifting and lowering operations and brake linings with a long service life. Under normal conditions, the unit can complete 1 million full-load braking operations before adjustment is required. Load Capacity: up to 4t max. 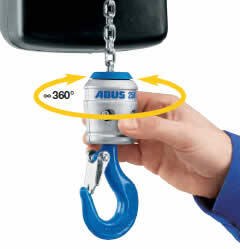 All ABUS chain hoists are designed and manufactured in accordance with the applicable EU directives and harmonized standards, as well as the BGV D8 accident prevention regulations and the German Equipment Safety Act. The motor and gear units are of modular design, allowing a variety of combinations for different lifting speeds. 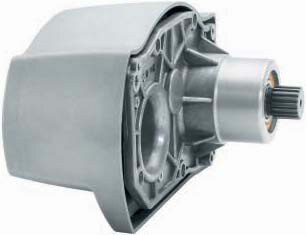 All the motors used are sturdy squirrel-cage units with 2-pole and 8-pole windings and the gear unit is separately encapsulated. This ensures considerable benefits for installation and maintenance. 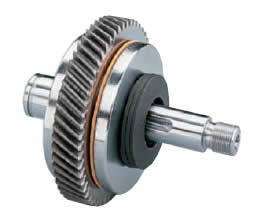 The permanently lubricated spur gear features bevelled gear wheels and roller bearings for smooth running. The DC disk brake features asbestos-free brake linings with a long service life (a million braking operations up to the first adjustment). The adjustable brake is designed for a very short run-on. 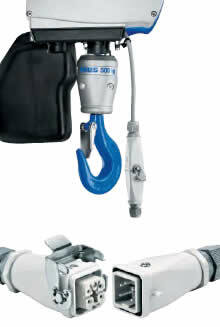 The removable, hinged suspension bracket is designed for easy suspension and removal of the hoist. The bracket ensures that the hoist is positioned in a fixed direction. On GM2 and GM4 hoists, the bracket is designed for installation in two positions, with an angle of 90° between them. Without the suspension bracket, the hoist may also be rigidly fixed by other means. The reduced installation spacing then allows an increase in the lifting height. Two lifting speeds, one for fast lifting and one for precision positioning, are a standard feature. The speed ratio (precision:main lift) is 1:4 for the GM2, GM4 and GM6 and 1:6 for the GM8. The slipping clutch offers reliable protection against overloading. Special linings designed for minimum wear ensure high safety levels over the entire service life of the unit. 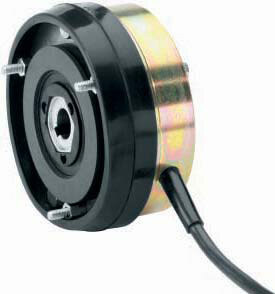 The slipping clutch is designed for easy external adjustment. The chain system consists of a high-precision chain sprocket entirely surrounded by the chain guide. Both the chain sprocket and the chain guide are of modular design, allowing easy replacement without the need to spend time and money dismantling the hoist to reach the parts. 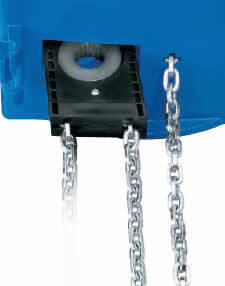 The hook block is designed to rotate on the chain. The hook and the hook block form a single, torsionally stable unit. The load can be effectively guided and oriented using a hand on the hook block. The power supply and the control unit are connected up using quick plug-type connectors with twist locks. The connection is firm and confusion is not possible. These connectors save time and make installation and maintenance work safer. The specially hardened galvanized steel profile chain allows loads about 25 % higher than a round steel chain of the same nominal dimensions. The contact surface between the chain links is larger, reducing wear on the chain. 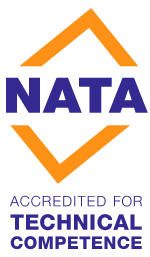 In practice, safety levels are improved and the service life of the chain is prolonged. The electronical control features no-wear semiconductor technology. This configuration allows considerable weight and space savings compared with mechanical contactors. (Standard equipment for GM8, optional for GM2, GM4 and GM6). No additional strain relief devices are required with the new sheathed control line. Tensile forces are absorbed by the specially coated fabric of the sheath. The conductors inside the sheath can move freely and are effectively protected against mechanical damage. ABUCompact hoists are controlled from ground level using ergonomically designed ABUCommander pendant controls with 2-stage push buttons and large emergency stop switches. The pendant control is connected using quick plug-type connectors with twist locks (bayonet locks). 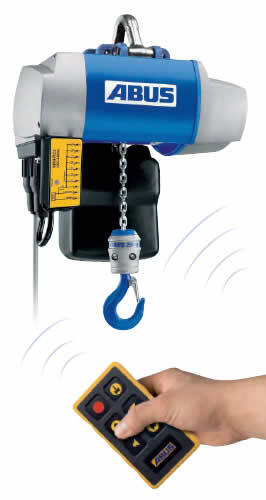 An operating hours meter allows a realistic assessment of the work actually performed by a hoist. The operating hours indicated can be used for calculating the remaining service life of the hoist in accordance with FEM 9.755. 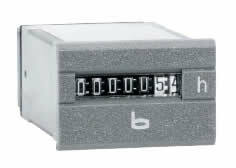 With an operating hours meter, longer safe working periods are normally possible. Infinitely variable speed control for the smooth handling of sensitive products such as glass or ceramics or long, bulky loads. 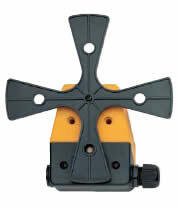 The ABUliner also allows precise positioning for tricky assembly and joining operations. For additional safety, the frequency converter features an electronic shut-down system with two programmable shut-down points that can be set via the pendant control. These switches can be used to slow the trolley to a lower speed ahead of the end stops. When the trolley has passed the limit switch, it can be moved back in the other direction at low speed. 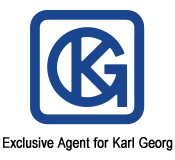 This option is only available in combination with a contactor-type control system/ electronic control system. Alternative: Deceleration to low trolley travel speed followed by shut-down at the end of trolley travel before the end stops are reached. When the trolley has passed the limit switch, it can be moved back in the other direction at high speed. 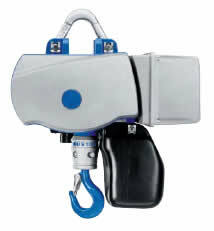 The electronical control system features advanced, no-wear semiconductor technology and is integrated in the hoist. This configuration features considerable weight and space savings compared with conventional mechanical contactors. The control voltage is 48 V.
Extended semiconductor electronic control system also incorporating trolley travel control functions. If this option is selected for a GM2 hoist, the control system is installed in an additional housing on the hoist. The electronic limit switch features two programmable shut-down points for even safer operation. The shut-down points for highest and lowest hook position can be programmed individually using a teach-in button on the pendant control. When the shut-down point is reached, the lifting or lowering movement is stopped. 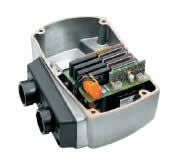 This option is only available in combination with a 48 V electronic control system. This option features two additional switching points between the highest and lowest hook position. These can be used as stop-and-go points during operation. 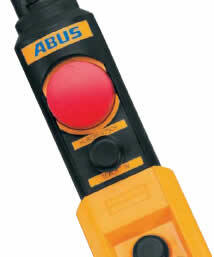 ABUS Mini-RC plug and play radio remote control unit for two-stage lifting and lowering for a range up to 25 m. The control unit consists of a lightweight hand-held transmitter with batteries and belt clip, an integrated horn, emergency stop switch and undervoltage detection system with buzzer. The receiver is designed for plug and play operation and can simply be plugged into the hoist instead of the pendant control. 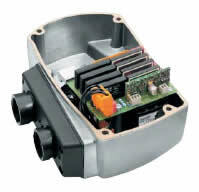 This option is only available in combination with a 48 V control system. Alternative: Mini-RC for two-stage lifting and lowering as well as trolley travel. For radio remote control, cruciform limit switches are recommended for limiting trolley travel. For optimum operation, advance slow-down followed by shutdown is strongly recommended.